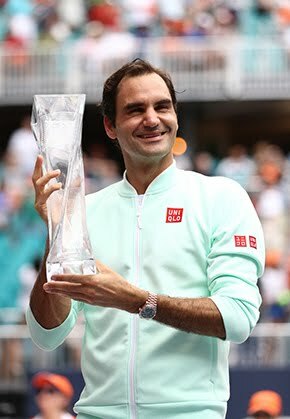 Federer fired 12 aces - his fastest serve registering 131 mph - and never faced a break point against Johnson, who reached 136 on the radar gun and fought off all four break points against him. "I'm very excited. That's why I came here, play against guys like Rafa. 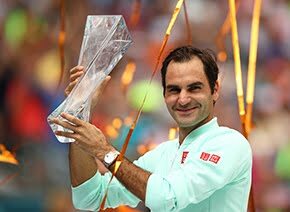 Now we have it," said Federer. "Australia helps me a little bit, but at the end of the day, I'm still in the comeback. "I try to see it really as another opportunity to build upon something for the rest of the season. So regardless of Australia, winning or losing, I'm going to try to go out there and try to play free again. I think it's really important. I feel like tomorrow if I move well, I will definitely have a chance against Rafa. "Because it's early in the tournament, I think we both don't quite yet know to 100 percent how everything feels. There is a bit of the unknown, which is exciting maybe for the fans to see how we're going to try to figure that part out." 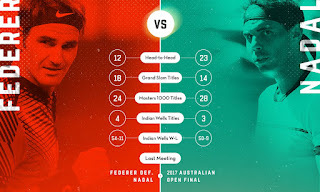 Without a win against Federer since the Australian Open in 2014 - a run of back-to-back defeats - Nadal knows he has his work cut out in the earliest meeting between the pair since the third round of the Miami Open in 2004. "Federer has the talent to do very difficult things that look easy. He's able to take the ball very early. Serve and first shot, he creates a lot of winners with that, the two first shots," Nadal said. "And then he's able to take the ball always from inside, and he's very quick going to the net. If you play a short ball, then you know that he’s going to go inside and going to hit a winner, going to play a shot to your forehand or backhand, goes to the net, and you are going to be in big trouble." 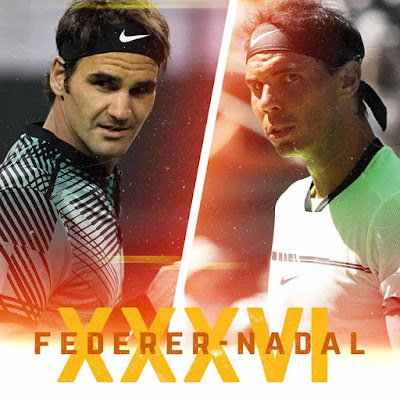 This will be their third tussle at the Indian Wells Tennis Garden. Fededer claimed their 2012 semifinal 6-3, 6-4, while Nadal returned the favour the following year in the quarterfinals 6-4, 6-2. 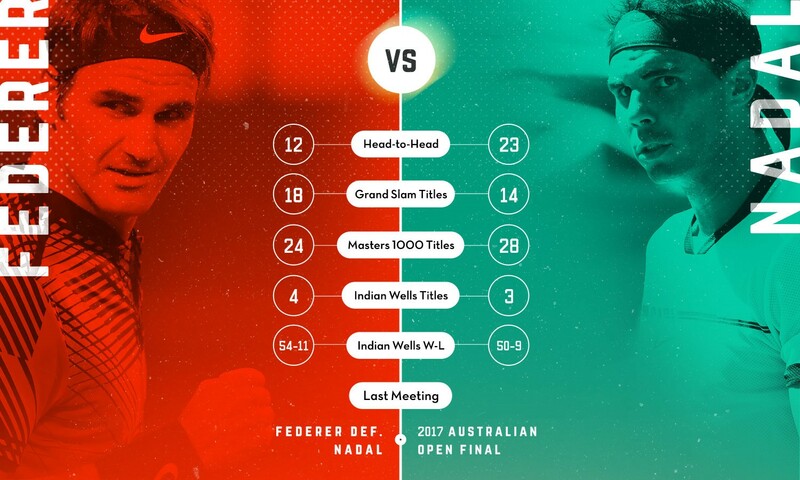 Between them, they have collectively accounted for seven of the past 13 Indian Wells titles.